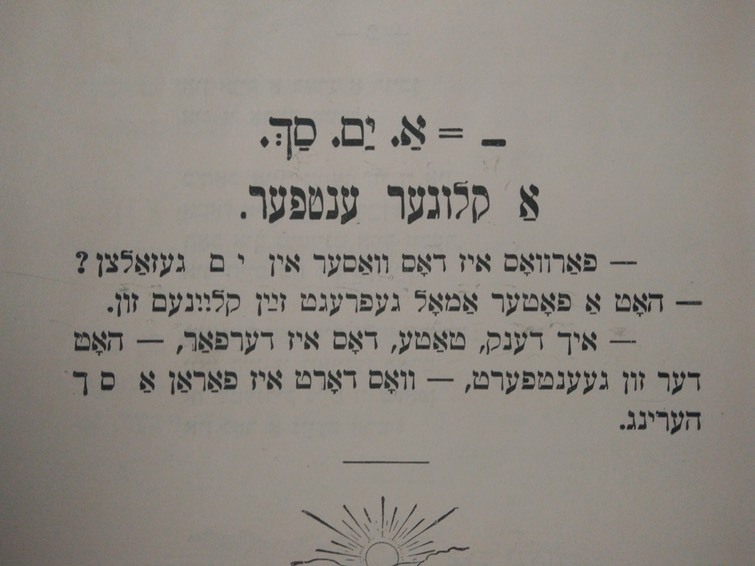 In a second hand bookstore in Tel Aviv I found a Yiddish-language book from 1923, apparently written for Yiddish-language Hebrew teachers. 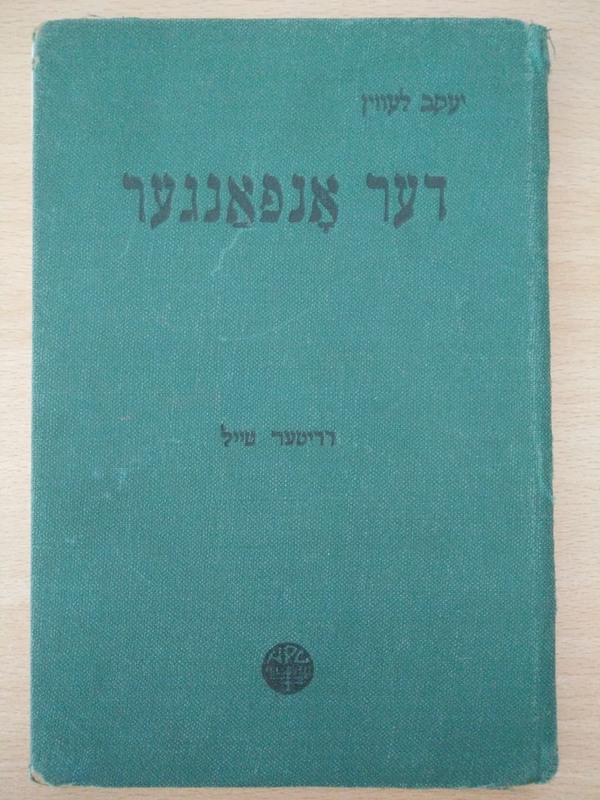 It contains stories that explain Hebrew words and concepts in Yiddish. It's the third part of a series. Unfortunately I couldn't find the first two parts. 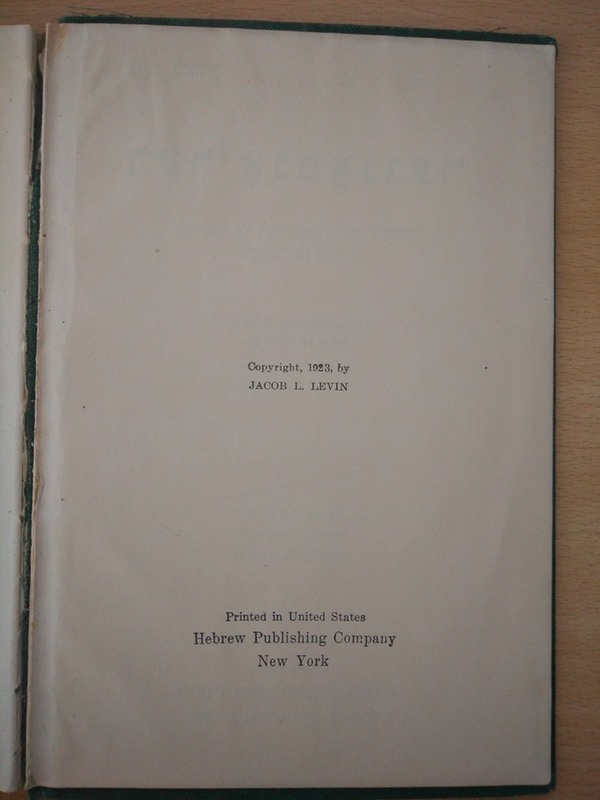 However the book found its way to Eretz Israel, I don't know. Why is the water in the ocean salty? A father has asked his little son one time. I think, daddy, that is so because, the son has answered, there is a large number of herring there.